Person 1: Why is the gold price so high? Person 2: Because people perceive that value in gold. Person 1: Why is the bitcoin price so high? 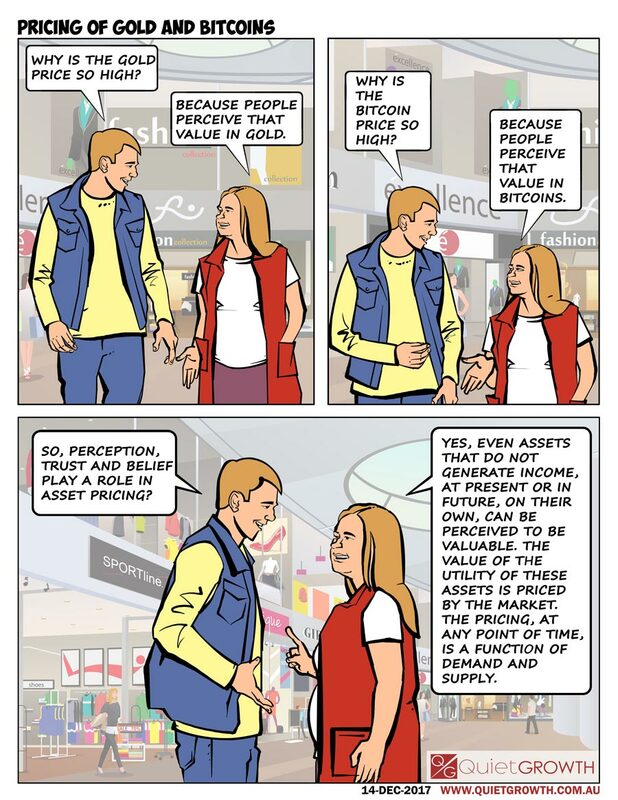 Person 2: Because people perceive that value in bitcoins. Person 1: So, perception, trust and belief play a role in asset pricing? Person 2: Yes, even assets that do not generate income, at present or in future, on their own, can be perceived to be valuable. The value of the utility of these assets is priced by the market. The pricing, at any point of time, is a function of demand and supply.